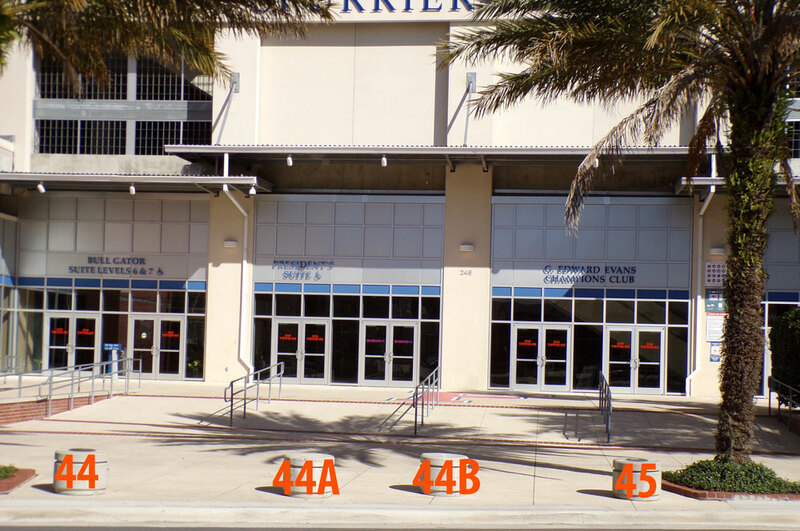 Major Giving Gator Boosters, Inc. The John J. Tigert Society is our stewardship program designed to recognize the lifetime contributions of our major gift donors by providing meaningful engagement opportunities throughout their lifetime. 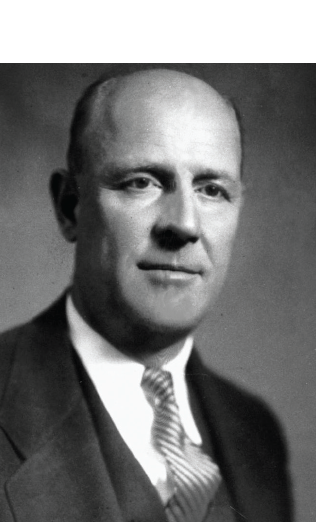 John J. Tigert served as the University of Florida’s fourth president from 1928-1947 and is known for making a major impact on the landscape of intercollegiate athletics by establishing the grant-in-aid concept which is the basis for today’s athletic scholarships. He was responsible for the construction of Florida Field and helped create the Southeastern Conference. 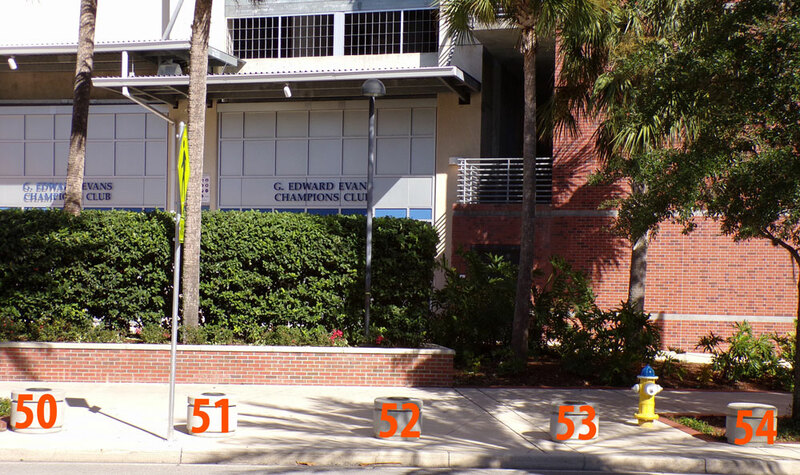 President Tigert left a lasting legacy for Gator Athletics and we find it fitting to use the Tigert name for the society that honors the legacy that each of our major gift donors leave on our program. Gifts for facility projects must be either cash or cash equivalent (readily marketable assets or real estate). Endowment gifts may take the form of cash or any number of deferred gift methods, which include trusts, annuities, will provisions and life insurance. Naming opportunities for scholarship endowment require minimum gifts of $50,000 (cash/cash equivalent) or $100,000 minimum deferred. Also, some contributors may qualify for corporate matching gifts through their employers. 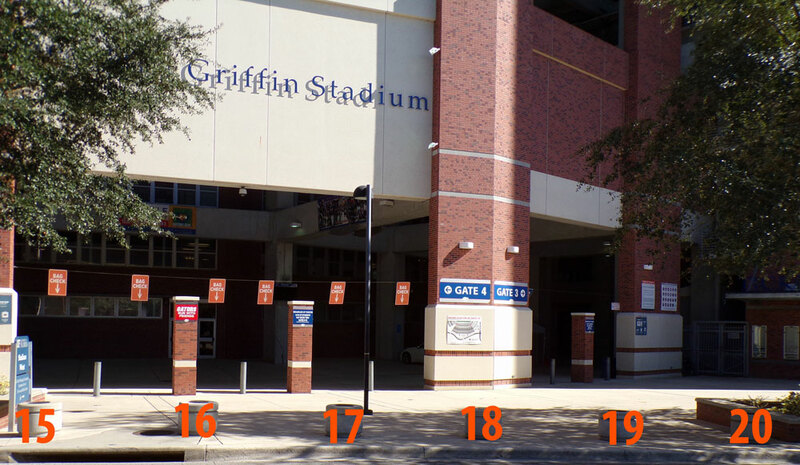 Customized "Gator Day": A customized "Behind the Scenes" tour for you, highlighted by meetings with coaches and athletic officials in your areas of support. "Travel With The Team"—Football Away Game: Travel with the team to a designated away game when available. Includes seat(s) on the chartered flight, hotel accommodations, and game tickets. 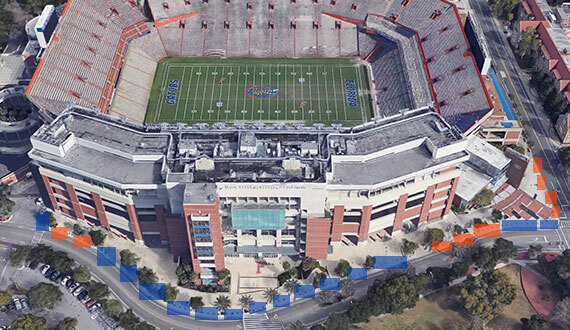 Home Football Game Day Experience: Participate in Gator Walk, be on the field when the Gators run out of the tunnel, watch part of the game from sidelines, and enjoy the Gator Football Experience from "Behind the Scenes." Bronze Portrait Etching: A custom bronze portrait etching will be displayed in the Gene Ellenson Board Room to recognize this significant milestone. + Plus all benefits of the Distinguished Director, Platinum, Gold, Silver, and Bronze levels. 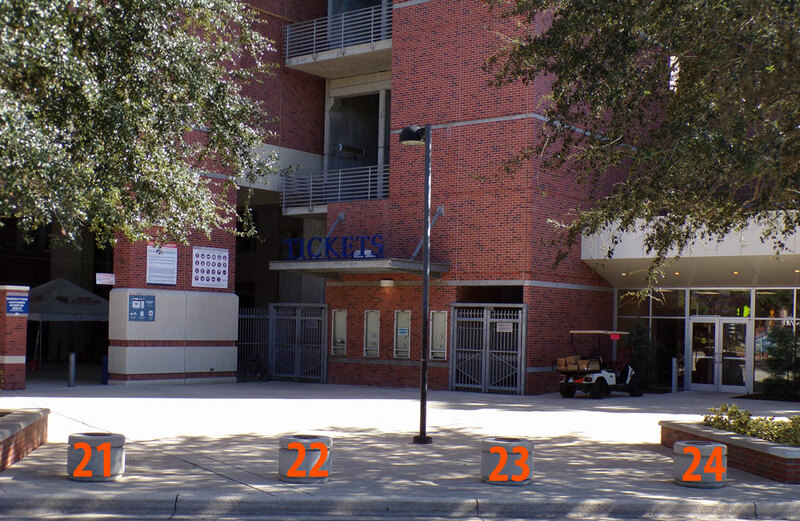 VIP Assignment of Post-Season Tickets: Tickets you purchase will be given preferential seating assignments. Dinner with the Football Coaching Staff: Enjoy a catered dinner with Football Coaching Staff in a casual, intimate atmosphere. Dinner with the Men's Basketball Coaching Staff: Enjoy a catered dinner with the Men's Basketball Coaching Staff in a casual, intimate atmosphere. "Travel With The Team"—Men's Basketball Away Game: Travel with the team to a designated away game when available. Includes seat(s) on the chartered flight, hotel accommodations, and game tickets. + Plus all benefits of the Platinum, Gold, Silver, and Bronze levels. 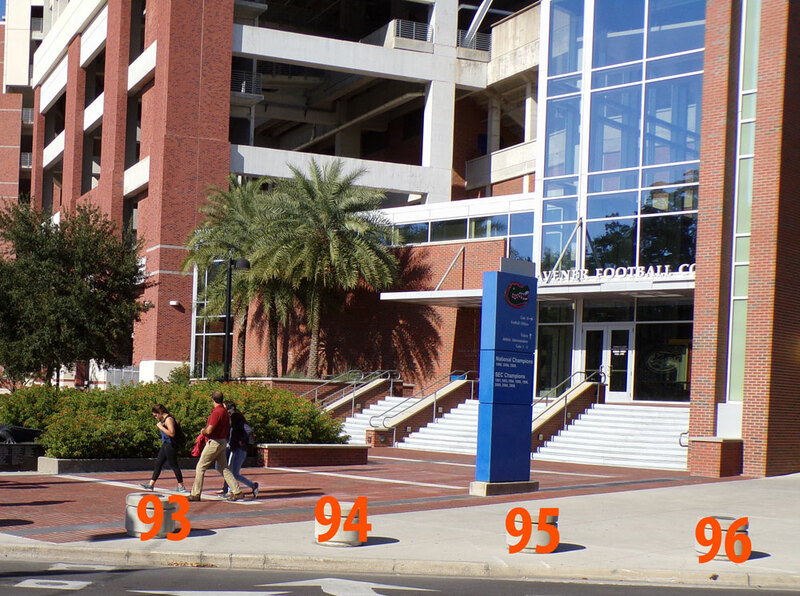 "Recruit for a Day" Experience: Put yourself in the shoes of an 18-year old, as Gator coaches and administrative staff sell you on why you want to be a Gator. + Plus all benefits of the Gold, Silver, and Bronze levels. Invitation to Annual Florida Letterman’s Awards Programs: Join Gator student-athletes for their fun and entertaining version of the ESPY Awards with a Gator twist. + Plus all benefits of the Silver and Bronze levels. Invitation to Annual Facility Tour and Reception: Join coaches and athletic officials as we showcase one of our athletic facilities and the ways that it benefits Gator student-athletes. + Plus all benefits of the Bronze level. On-Field/On-Court Recognition: Join us as we thank you publicly at an athletic event after the completion of any gift of $50,000+. 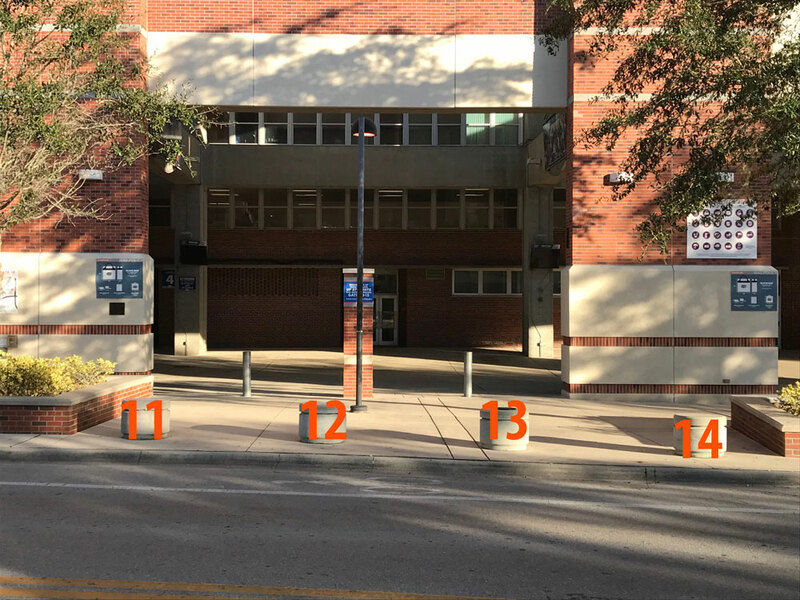 Gator Booster Loyalty Points: For any new facility or scholarship endowment gift, you may elect to receive two (2) loyalty points for every $100 contributed. Please note that if you elect to receive loyalty points, your gift will be receipted at 80%. Recognition in Gator Boosters "Year in Review" Publication: This annual publication, which highlights a recap of all of our teams’ accomplishments, will also recognize your generous support of Gator Boosters. Sport-Specific Posters and Memorabilia: You will receive annual posters and other memorabilia tailored to your sports of interest. Online Recognition: With your approval, you will be recognized by Gator Boosters and the UAA on various online and social media platforms. Achievement Gift: When a new level of the Tigert Society is reached, you will receive an exclusive gift to commemorate this milestone. Annual Membership Packet: This membership kit will include an auto decal, and an annual gift reflecting your Tigert Society level. **Other benefits may be included specifically for scholarship endowment or facility gifts. Your membership in this society is an outward display of your dedication to hundreds of student-athletes you impact each year. Your generosity has changed the landscape of Florida Gator Athletics and it is our hope that your membership in the John J. Tigert Society gives us the opportunity to properly thank you for years to come. 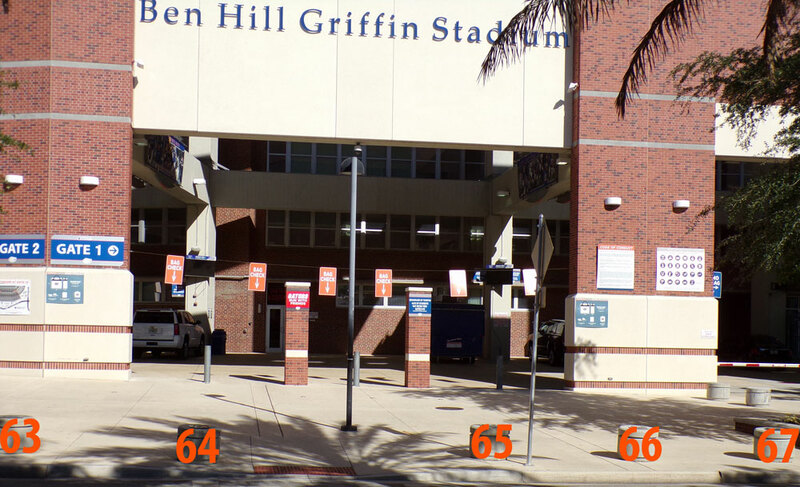 *Legacy Director and Distinguished Director levels only reflect gifts that have been received by Gator Boosters, Inc. A minimum of 50% of qualified gifts must be non-ticket related. 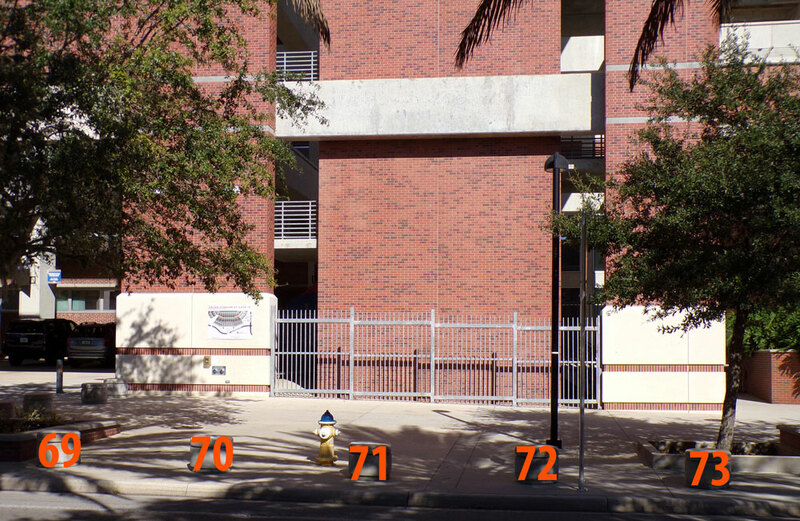 **Platinum, Gold, Silver and Bronze levels may include major gifts received, ticket-related gifts (up to amount of major gifts received), and 20% of any documented deferred gift or major gift pledge to Gator Boosters, Inc. The construction, renovation, expansion, and maintenance of our athletic facilities is essential to ensure the success of our athletics program. 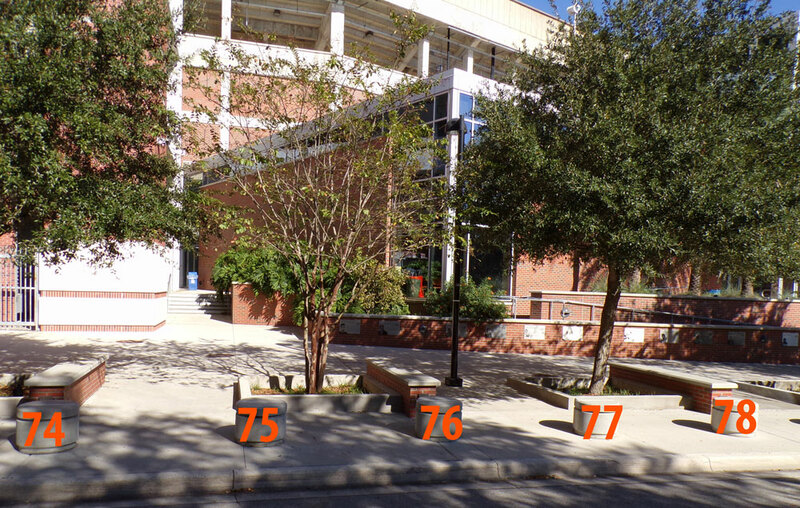 It is our facilities that enables us to recruit and retain the best coaches and student-athletes, and allows us to provide a top notch fan experience. 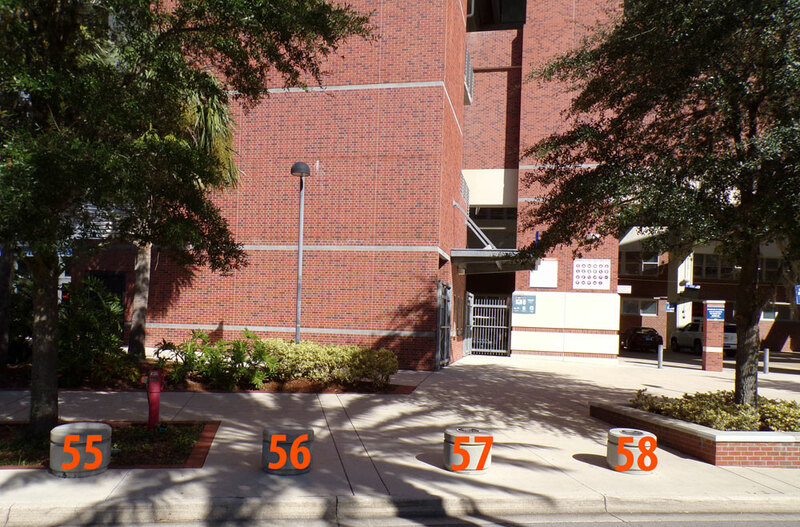 Recognition for facility gifts are often associated with naming opportunities, specific to the project the donor chooses to support. Naming opportunities and their corresponding gift amounts vary based on the scope of the project. 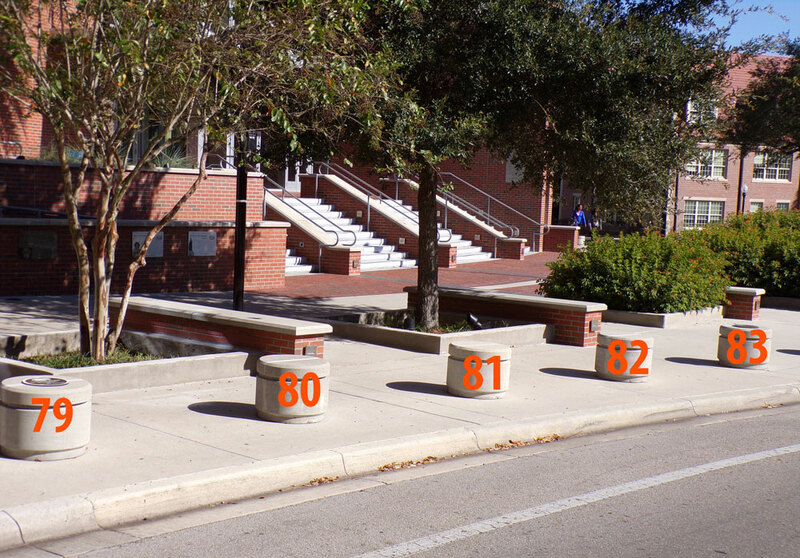 Gator Boosters, Inc. is excited to announce its latest naming opportunity for Gator Fans - the Gator Bollard Project. 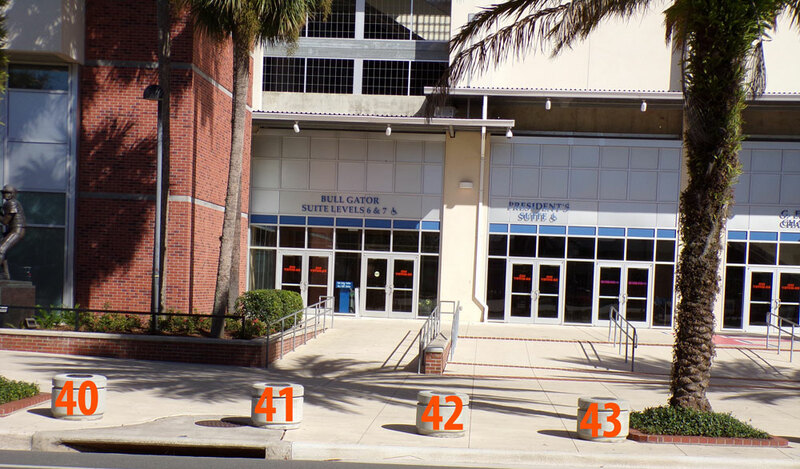 These Gator Bollards are prominently featured outside the west side of Ben Hill Griffin Stadium stretching along L. Gale Lemerand Drive. 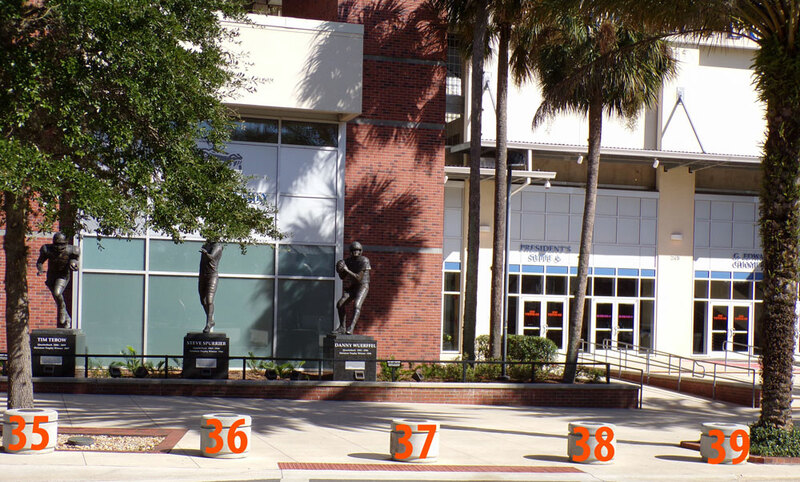 They are a true focal point as fans enter the stadium and will allow Gator fans to forever leave their mark on Florida Football. Each bollard requires a $10,000 contribution to name. 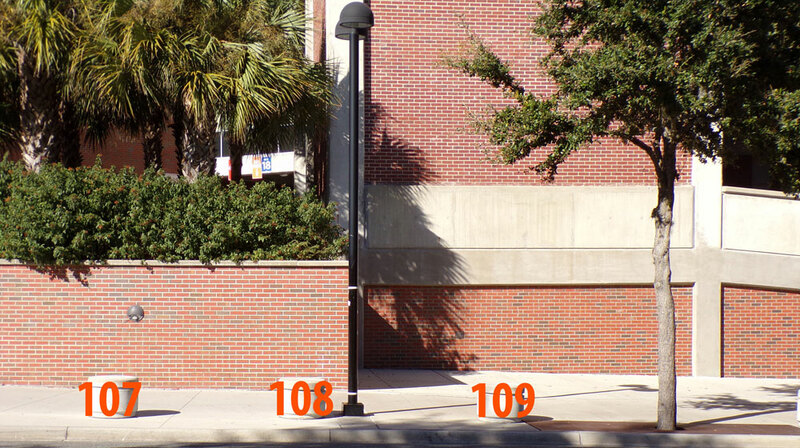 All proceeds from the Gator Bollard Project will be directed to the construction, renovation and expansion of our athletic facilities to provide a championship experience for Gator student-athletes and fans. 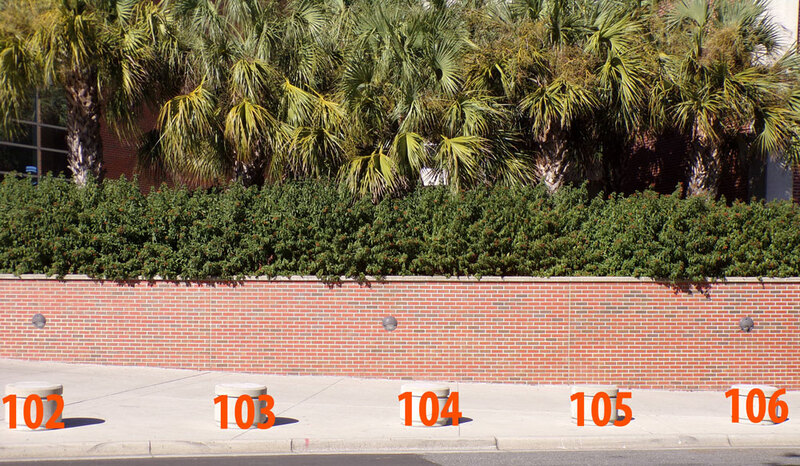 Your commitment to naming a Gator Bollard will help us to reach this goal and forever ensure the success of Gator Athletics. 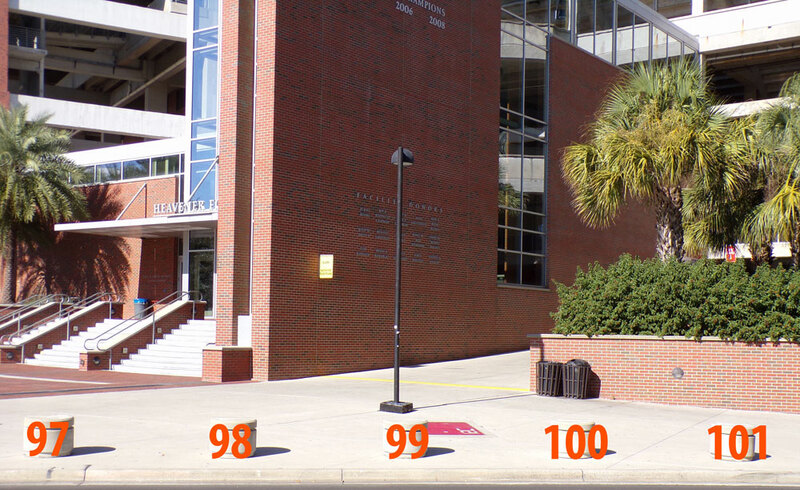 Click the highlighted areas to see pictures of the bollard's locations. All money generated from the Gator Bollard Project will be put toward the construction, renovation and expansion of our athletic facilities. 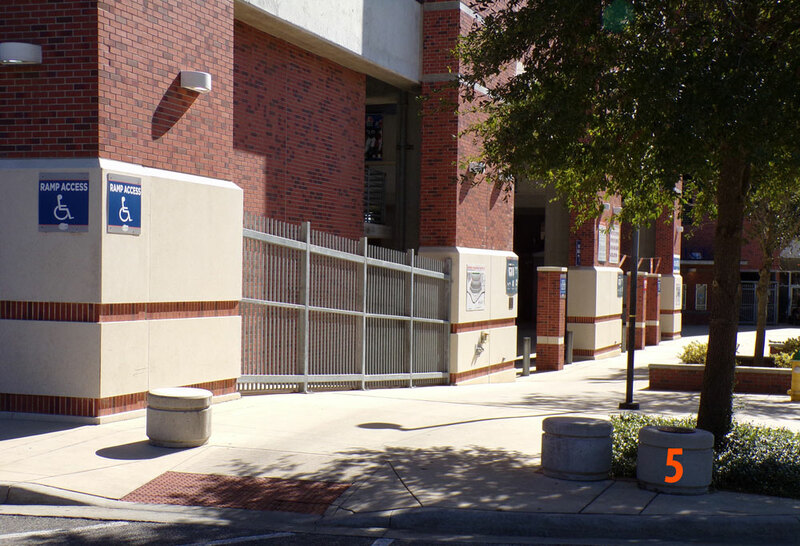 By contributing to the Gator Bollard Project you are helping build and maintain the finest facilities for all Gator student-athletes and fans at the University of Florida. 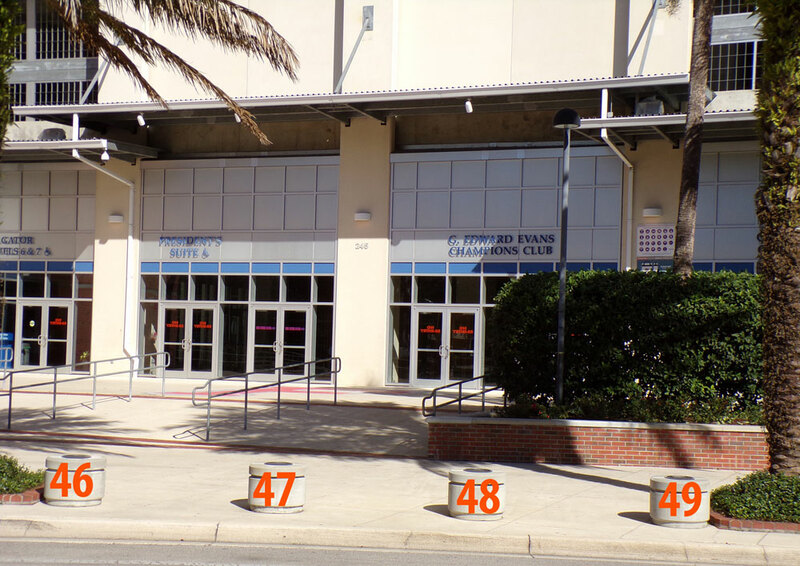 These facilities enable the Gators to recruit and retain the best coaches and student-athletes as well as provide a championship experience for all. Your contribution enhances the collegiate experience for all 500+ student-athletes while also providing the tools for them to succeed. 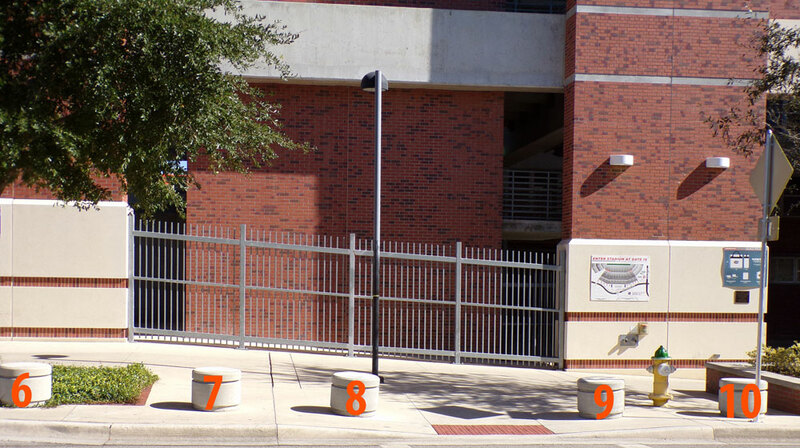 How do I commit to the Gator Bollard Project? There is a Commitment Form on this web site which you can reach by clicking here. Once you see the form you can either fill it out as you see it and click the “Print Form” button to print and send it in or you can download the form, print and fill it out, and send it in to the address provided on the form. 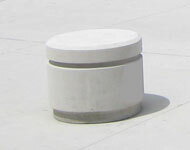 A bollard is a concrete fixture that is 19 inches in height and 22 inches in diameter. 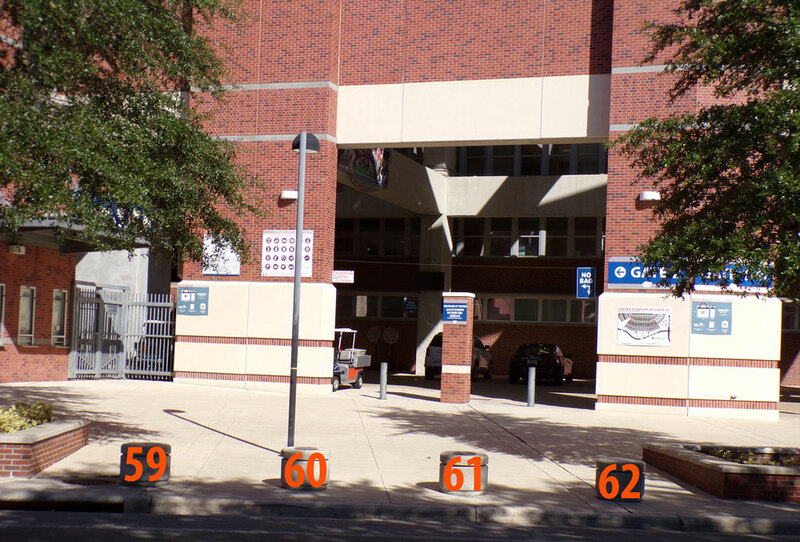 These bollards stretch along Gale Lemerand Drive on the West side of the stadium wrapping around the James W. “Bill” Heavener Complex continuing to Stadium Drive on the South side of the stadium. What is the size of the plaque? Each plaque is 12" in diameter with the letters each being ¾" tall. You are allowed three lines of text, each with a maximum of 20 characters (including spaces and special characters). Each bollard requires a $10,000 contribution to name. This contribution can be a one-time payment or be broken into multiple payments over a two year period. Once the full contribution is met, the plaque will be placed on the available bollard of your choice and the plaque will be made to your specifications. Do I earn priority points for this contribution? Yes! 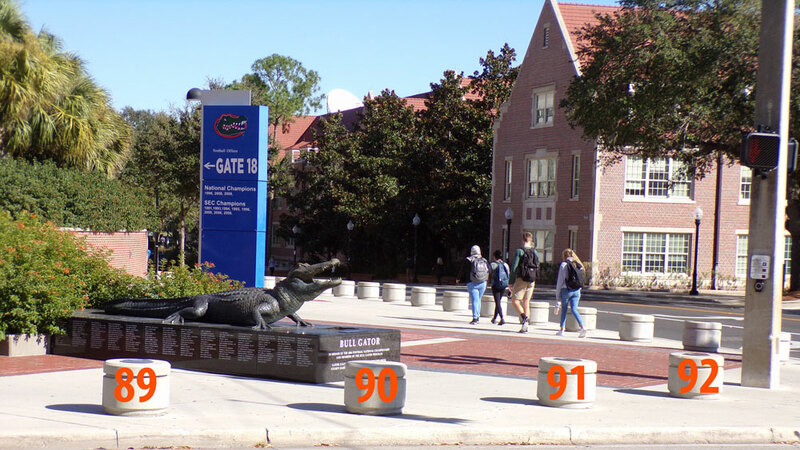 The money generated from the Gator Bollard Project is directed to the construction, renovation and expansion of our athletic facilities. You may receive triple priority points through 12/31/18 for your choice of either Football or Men's Basketball, or you can split the points between the two sports. Please keep in mind that due to changes in tax laws, if you do receive priority points for this gift it is no longer tax deductible. If you make the gift and there are no priority points received it is 100% tax deductible. It is your choice whether you wish to receive points or not. 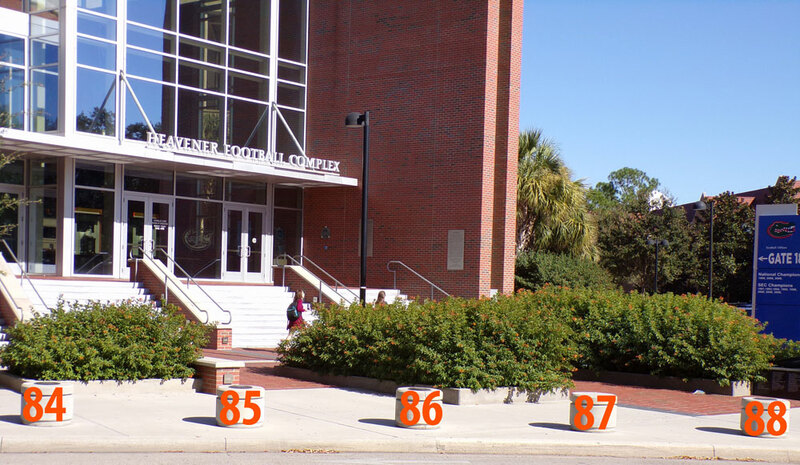 When you support an athletic endowment, you give student-athletes something they might not have otherwise had, a shot at a top-quality University of Florida education. Funding an endowment is also one of the most significant ways to insure the future success of the university's athletic program. Minimum cost to name an endowment is $50,000 cash/cash equivalent or $100,000 deferred. Gator Boosters, Inc. is pursuing the ambitious goal of fully endowing our scholarships. Receive TRIPLE PRIORITY POINTS for your gift. Three (3) points awarded for every $100 donated through 12/31/18. Gifts not tax deductible when choosing to receive priority points (effective 1/1/18). Give the gift of EDUCATION. 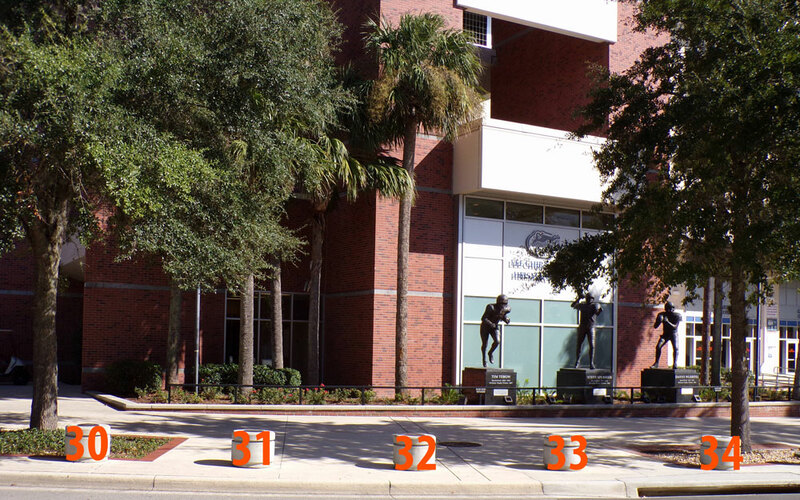 Your gift provides the opportunity for current and future generations of Gator student-athletes to obtain a first class education and graduate with a degree from the University of Florida. 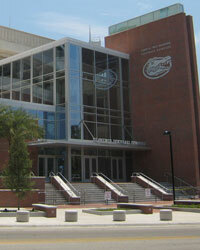 Provide the educational FOUNDATION for Gator student-athletes to build on for their future successes. 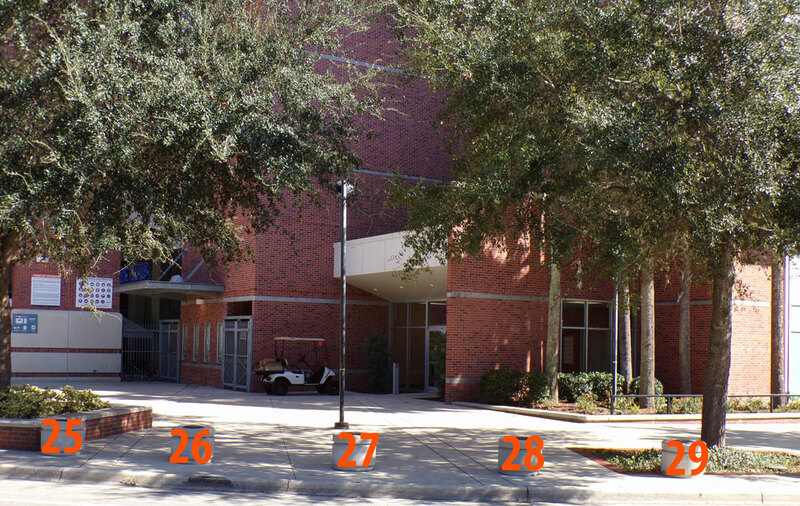 Secure the FUTURE success of Gator Athletics by providing the gift of education for our student-athletes. Please call Gator Boosters for more information (352) 375-4683 x 5000.